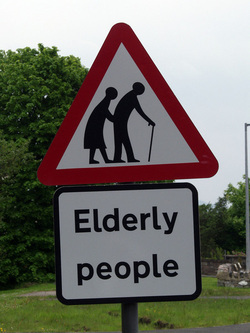 Objective: To carry out some background research into the issues (pro's and con's) caused by an ageing population. Background Research - Watch the two videos beneath. This first is specific to the United Kingdom and the second video is more general taking a more global viewpoint. Make notes on the first and second video in your folder. Then read over this article, print out and make notes. Task 1 - Study this GeoActive case study (230) found on the schoolportal. It is 10 years old but still contains some good quality general information on the global trends of ageing. Complete the activities on the back page. Task 2 - Click here to view an interactive graphic showing the past and projected ageing population structure of the UK. Click here to read a fact sheet that gives you a simple overview of the issue. Make notes on both. Analysis of the SDME booklet is here. Thanks to Brian Whittle. Task 3 - International appreciation of the issue of ageing populations. Although your examination will ask you to focus on the United Kingdom as your case study location, you need to undertand that this is a global issue. Download and print all three of these fact sheets produced by Martin Phillips. Use two coloured pens to highlight the pro's and con's of an ageing population as well as the key facts and figures in the UK. Calling all A* - B Candidates! - To give you a wider overview, complete the online worksheet here on geographyalltheway (subscription required) about the ageing population situation in Italy. Task 4 - How well can you interpret the resources in the SDME booklet? Task 5 - Exam Practice - Click here to download a list of exam style questions that could come up in your June 14 SDME. The teachers notes are here. RGS in Worcester have put these questions together too. Task 6 - Understanding the key terms and definitions is really important. Click here to download a list of the key terms for revision purposes and a mix and match exercise for you to complete at home to test yourself. Task 7 - Understanding Population Pyramids. Click here to be taken to the geographypods.com GCSE section on population pyramids. Complete the activities set out. Click here to download two ageing population pyramids for annotation purposes. The Structure - How does the exam work? Objective: To understand how the exam is going to be structured, the types of questions and to get the timings right. Describe and explain the changes between the population structure of the UK between 2000 and 2050. Normally worth 14 marks and the questions are more complex. Expect two or three questions worth between 5 to 8marks each. You should spend no more than 20 minutes on this section. Experience of SDME examinations leads us to believe that this section will ask you to evaluate the viewpoints of the different stakeholders in this decision. 3. The young family (note that the impacts could be different for the mum and dad as well as the two children). Expect questions that ask you to comment on the different sustainability aspect of S.E.E (Social, Economic, Environmental) related to the three groups and even the town of Dunbar e.g. With reference to two different stakeholders, describe and explain the economic and social impacts of building an American-style retirement complex in Dunbar. There is a worksheet below that summarises all of this for you. Print out and stick to your bedroom wall! Mr Rackley has put together this excellent resource using the Dragons Den format to help you understand the S.E.E issues of building this retirement complex. Resource 6 introduces you to the place where your sustainable decision has to be made. Mr Rackley has put together this excellent Google Map resource that links the resources to Dunbar in Scotland, UK. Click here to access the full file with a list of resources on the left hand side.